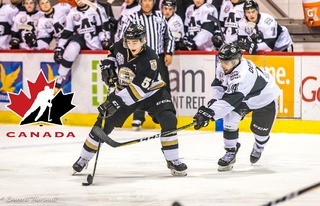 The 2018-2019 Charlottetown Islanders season has come to an end. 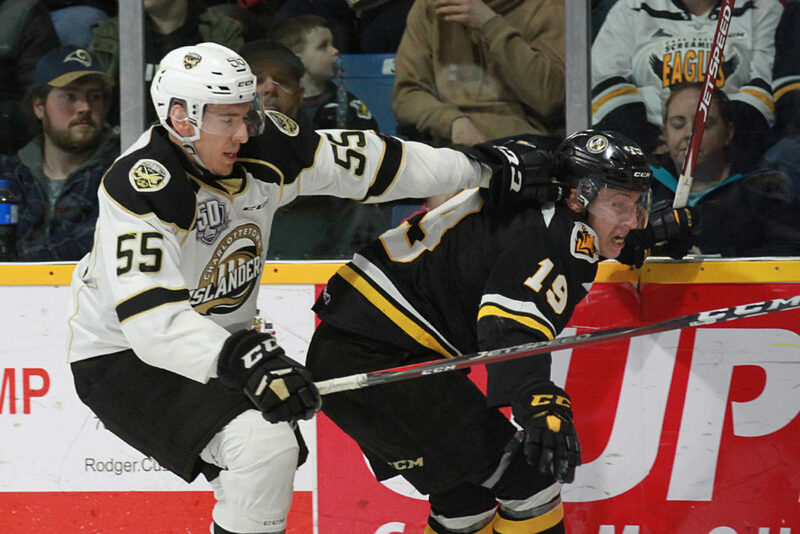 Egor Sokolov scored his second goal of the game on an overtime powerplay, and the Cape Breton Screaming Eagles advance to the 2nd round of the QMJHL Playoffs with a 4-3 OT victory over the Islanders in Game 6 of their first-round matchup. For the second consecutive game, the Islanders got on the board early in the first. This time, it was Zac Beauregard. The diminutive forward, matching his style of play, scratched and clawed in front of the net to gain the area in front of Eagles starter Kevin Mandolese. The puck would find it’s way on to Beauregard’s stick and he’d make no mistake, scoring his second of the season to give the Isles a 1-0 lead. Not unlike Game 5, the Eagles would score two quick goals to take the lead. Gabriel Proulx would score his first goal of the playoffs, streaking in on a clean breakaway and beating Matthew Welsh high glove side. Not even 40 seconds later, Egor Sokolov would give the Eagles the lead with his third goal of the postseason. Much has been made this first round of the Islanders needing scoring beyond their first line. 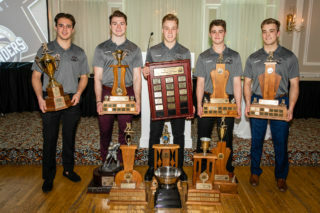 Nikita Alexandrov and Daniel Hardie in particular have been doing much of the heavy lifting over the previous two games; for the Isles to be successful, they were going to need goals from all four lines. Fortunately, those depth goals came in this game. Midway through the second period, Cole Edwards would lob a perfect saucer pass over an Eagles defender and on to the tape of Xavier Fortin. The rookie would make no mistake in close on Mandolese for his first career playoff goal to tie the game up. The Isles would pull ahead early in the third period thanks to another player not named Hardie or Alexandrov. Thomas Casey, using his speed and skill, would streak off on a breakaway and beat Mandolese just 1:16 in to the third period to put the Islanders ahead 3-2. 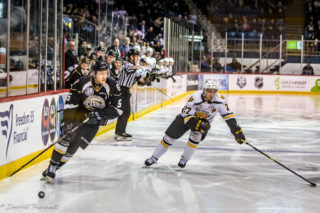 The Islanders would tighten up as the period wore on, desperately trying to keep their season alive and push the series back to Charlottetown for Game 7. 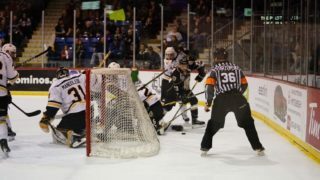 Unfortunately, the Screaming Eagles were also fighting to move on to the 2nd round of the playoffs. A shot from the point caroms off the glass and hits Welsh in the back. A mad scramble ensues in front and the puck finds it’s way across the goal line just before the net is knocked off it’s moorings. Mitchell Balmas gets credit for the goal with just under two minutes left to play, sending Game 6 to overtime. The play was fairly fluid as overtime opened up. The puck traveled up and down the ice, with both teams getting their fair share of opportunities to end the game. With neither team giving an inch, it was growing apparent that it was going to take a lucky bounce to end this game, one way or the other. That bounce came in the form of a too many men penalty for the Islanders. The ensuing powerplay saw the Eagles apply the pressure on the Isles, knowing their berth in the second round hung in the balance. Finally, Sokolov found a loose puck in a scramble in front of Welsh. The big Russian potted the puck and sent the Eagles fans home happy, and sent the Islanders home. Despite the loss, Matthew Welsh played a great game, making 25 big stops in the loss. 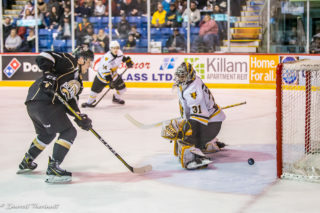 Kevin Mandolese turned in yet another big performance for Cape Breton, making 33 saves for the win. “As a staff, we’re very proud of the effort & commitment from this group.” Hulton said, summarizing the season as a whole. Islanders fans, we want to thank you from the bottoms of our heart for your passion, enthusiasm, and support for us this past season. None of this would be possible without you. 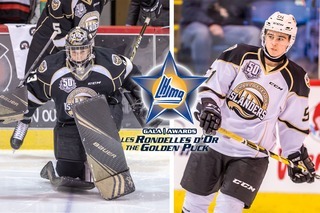 Stay tuned for details regarding our Player Send-Off & Awards Night. We hope to see you one last time before the offseason begins!